There is nothing more splendid than a perfectly hand-rolled cigar. A cigar connoisseur knows that, while there is a time and place for machine-made cigars, a hand-rolled cigar is the pinnacle of luxury. Made with 100% tobacco, bunched, rolled, and trimmed by professionals, the impact of a hand-rolled cigar is almost indescribable – especially when it is rolled right before you by an expert cigar roller. From bales wrapped in burlap, the aged leaves are taken and “cased” – a technique that moistens the leaves, leaving them supple and ready to be rolled. In some places, the leaves are misted with water; in others, they are placed in a room with high humidity. These cased leaves are then deveined, either by workers, who delicately pull the stem from the leaf, or by machines. The deveined leaves are then sorted by tobacco type. In turn, a master blender prepares the proportion of each type of leaf to be put in the cigar. The bunch consists of the filler leaves and binder portion of the blend. Three or four different leaves are used to create the bunch. Often, the leaves are folded and broken to achieve the right size and to ensure that there are no “soft spots” in the cigar. The buncher or bunchero must also make sure that they set the leaves in the bunch in such a way as to allow air to flow through the cigar. After making the bunch, a binder is hand-rolled around the filler leaves. Then, the package is placed in a mold and pressed for about 30 to 45 minutes. After removing the bunch from the mold, it then goes to the roller or the rolero. The roller then rolls the outer wrapper leaf around the bunch. The wrapper leaf would be placed and spread out flat on the rolling table. Using a razor-sharp knife called a chaveta, the roller cuts the wrapper leaf in a specific manner so that it wraps around the bunch properly, achieving a spiral effect. Rolling a cigar demands dexterity and speed. At each step of the rolling process, the roller checks the partially wrapped cigar for any soft or hard spots. Some roller’s glue – made of tree sap – is then used to help the cigar wrapper adhere to itself. The last part of rolling a cigar is putting on the cap, which is a small swatch of tobacco leaf that covers the head of the finished cigar. This is the part that you will cut off and draw from. Hand-rolling a cigar is a craft; it requires years of practice to perfect. However, the result is well worth it. A hand-rolled cigar is simply a work of art. 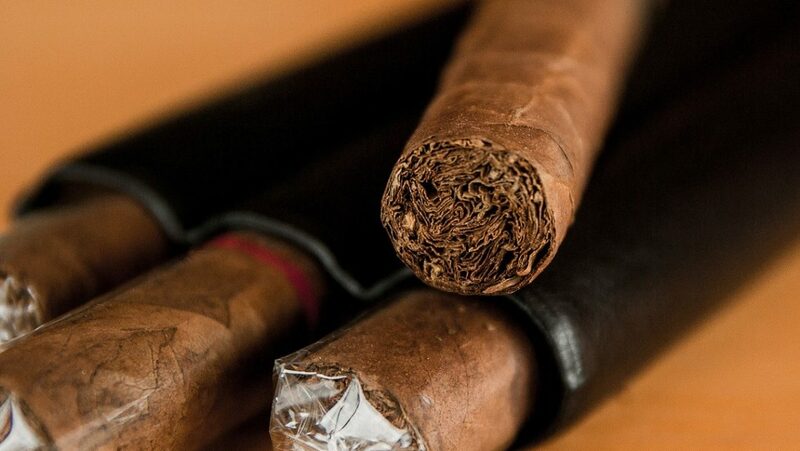 If you are looking for a professional cigar roller for weddings in Ft. Lauderdale, then you should turn to Cigar Stud. Our hand-rolled cigars are perfect for celebrating special events. Simply get in touch with us to learn more about our premium cigars and cigar rollers.